So, in my previous post, I introduced a new gadget to you and gave you an overview of what it is and how it works. I bought the Hot Logic Personal Portable Oven because I take my lunch to work with me everyday, and I want to avoid using a microwave to heat up my meals. So, do you want to know what actually happened when the oven was delivered to my home and I started using it? Well, I could have never imagined how things would’ve unfolded. 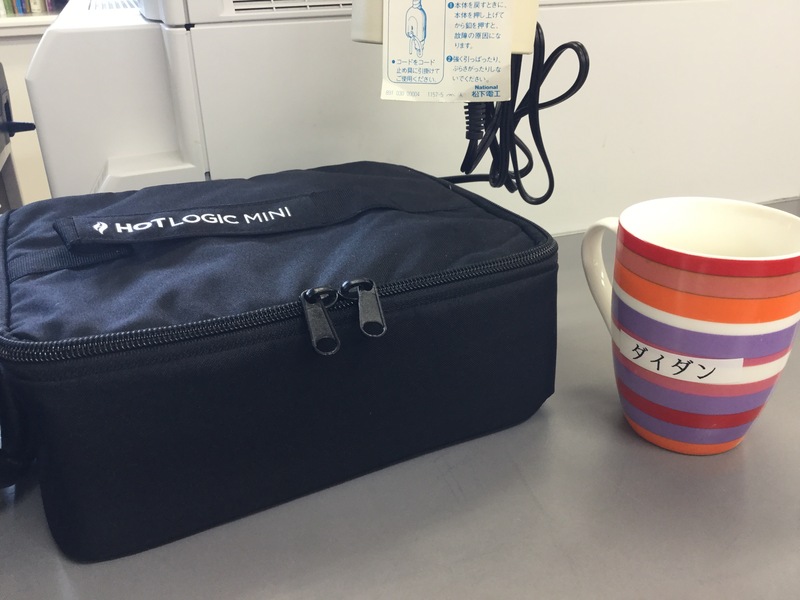 On Friday April 22, the Hot Logic Mini was delivered to my home and I was so excited! But, since it was already Friday evening, I had to keep my composure over the weekend. 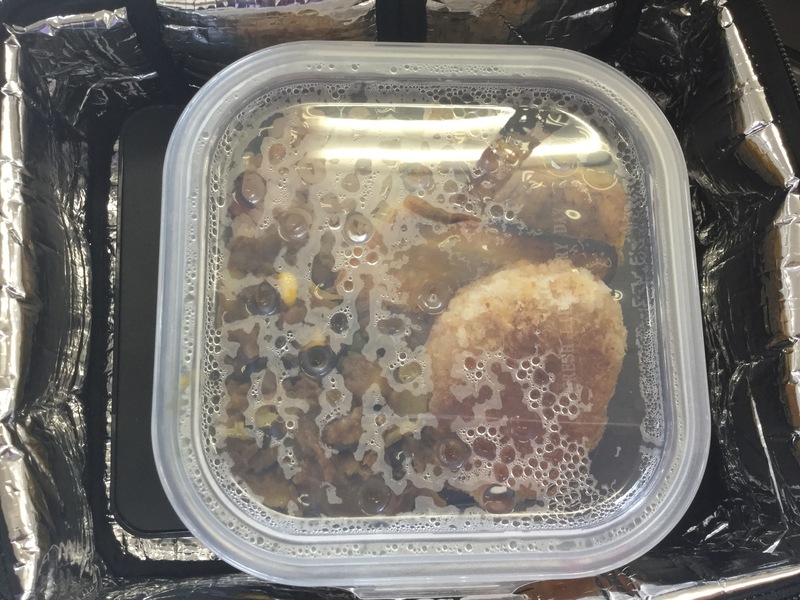 On Monday morning, I packed one of the glass dishes with a mixture of freshly cooked and refridgerated food, and the other dish with a leftover green salad. Then when I got to work, I searched for the power cord and plugged it into the outlet at my desk. (Can you believe that up until that point, I had not even examined the design of bag nor checked where the power cord was?! LOL.) Anyway, when I actually found the ‘secret compartment’, I thought it was really neat that they designed the bag with a pocket in the back for storing the power cord while it isn’t being used. Very chic, don’t you think?! Oh… then when I finally dug in, the texture and flavour of the food was distinctly different from when I would reheat it in the microwave. Everything was thoroughly heated – no cold spots in the middle. With the microwave, I often had to stir and heat a few times to get everything properly heated. The next thing I noticed was that the portions of the food that were touching the glass, did not get dried out or crusty in any way. That would happen with microwave, especially with things like curry (which I had that day). The curry, rice, vegetable croquette and fried ripe plantain were all moist and flavourful, as if I had just finished cooking and served up the plate straight from the stove! 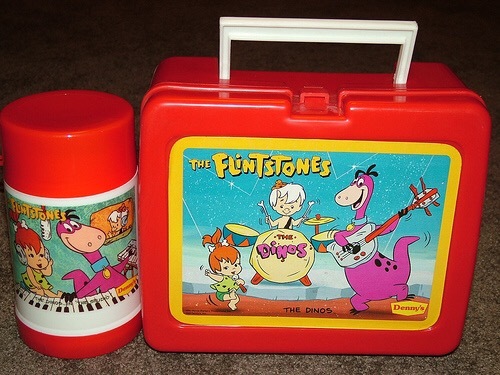 The Hot Logic Mini is about the size of the lunch pans that we used to carry to Basic and Primary school, in Jamaica. But, I had got used to the micro-sized, super-compact Japanese bentos, so it took some time for me to figure out how to pack it into my tote (2nd bag). But, now, It’s all good. I think if I were to skimp on my veg intake and pack cooked veggies, it could all fit into one of the glass dishes. But, I am really trying to have a large salad alongside the rest of my lunch everyday. I get the impression that enough marketing and promotion hasn’t been done for this Vibrant Eating gadget, but I expect that many competitors will be coming up with their own versions in no time. Between people who are trying to make better food choices, people who are on strict/weight loss diets and the folks who are packing lunches as a financial management strategy, the Hot Logic Mini Personal Portable Oven is a great sell! After just one week of using the Hot Logic Mini Personal Portable Oven, I resolved to avoid microwave ovens like the biohazard they are. I love my new ‘cooking lunch bag’ and would happily encourage you, my friends and loved ones to make the switch. By the way, it seems the vendor I bough from sold out soon after, I go the my Hot Logic. But, you can still get them from Amazon.com and other vendors on ebay.com .